A simulated device application that responds to direct methods called from a back-end service application. 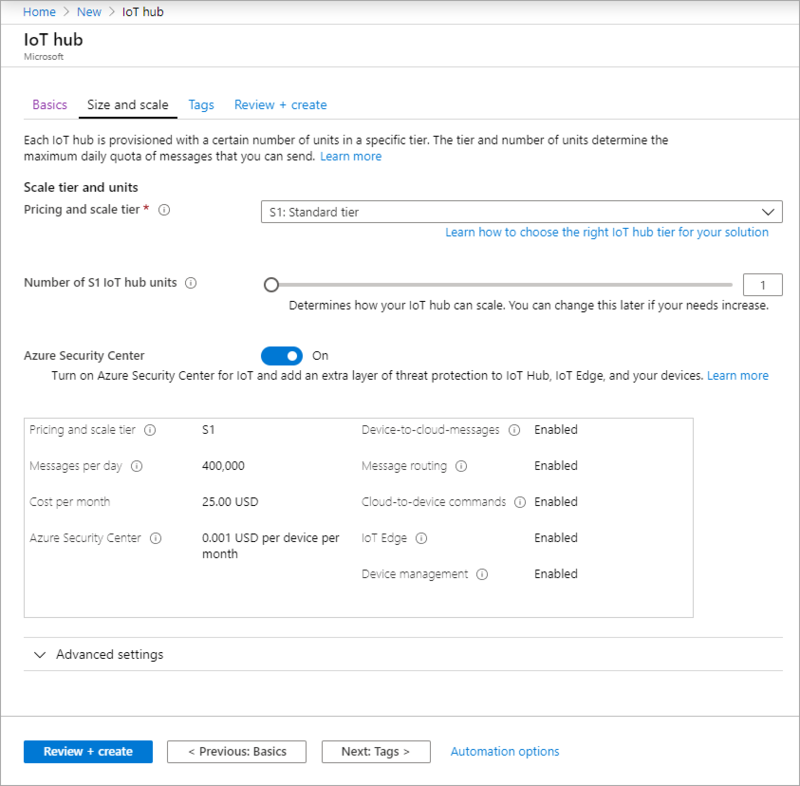 To receive the direct method calls, this application connects to a device-specific endpoint on your IoT hub. A service application that calls the direct method on the Android device. To call a direct method on a device, this application connects to service-side endpoint on your IoT hub. Android studio from https://developer.android.com/studio/. For more information regarding Android Studio installation, see android-installation. Android SDK 27 is used by the sample in this article. Two sample applications are required by this quickstart: The Device SDK sample Android application and the Service SDK sample Android application. Both of these samples are part of the azure-iot-samples-java repository on GitHub. Download or clone the azure-iot-samples-java repository. 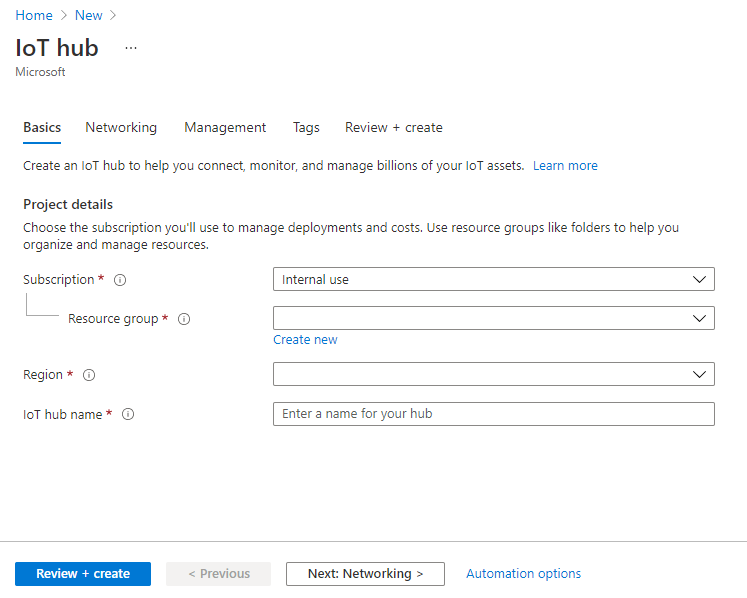 If you completed the previous Quickstart: Send telemetry from a device to an IoT hub, you can skip this step and use the IoT hub you have already created. If you completed the previous Quickstart: Send telemetry from a device to an IoT hub, you can skip this step and use the same device registered in the previous quickstart. MyAndroidDevice: This value is the name given for the registered device. Use MyAndroidDevice as shown. If you choose a different name for your device, you may also need to use that name throughout this article, and update the device name in the sample applications before you run them. The device SDK sample application can be run on a physical Android device or an Android emulator. The sample connects to a device-specific endpoint on your IoT hub, sends simulated telemetry, and listens for direct method calls from your hub. In this quickstart, the direct method call from the hub tells the device to change the interval at which it sends telemetry. The simulated device sends an acknowledgement back to your hub after it executes the direct method. Open the GitHub sample Android project in Android Studio. The project is located in the following directory of your cloned or downloaded copy of azure-iot-sample-java repository. In Android Studio, open gradle.properties for the sample project and replace the Device_Connection_String placeholder with your device connection string you noted earlier. In Android Studio, click File > Sync Project with Gradle Files. Verify the build completes. The versions of the Android Gradle plugin and Gradle referenced in the project are out of date for your version of Android Studio. Follow these instructions to reference and install the correct versions of the plugin and Gradle for your installation. The license agreement for the Android SDK has not been signed. Follow the instructions in the Build output to sign the license agreement and download the SDK. Once the build has completed, click Run > Run 'app'. Configure the app to run on a physical Android device or an Android emulator. For more information on running an Android app on a physical device or emulator, see Run your app. This app needs to be left running on a phycial device or emulator while you execute the service SDK sample to update the telemetry interval during run-time. 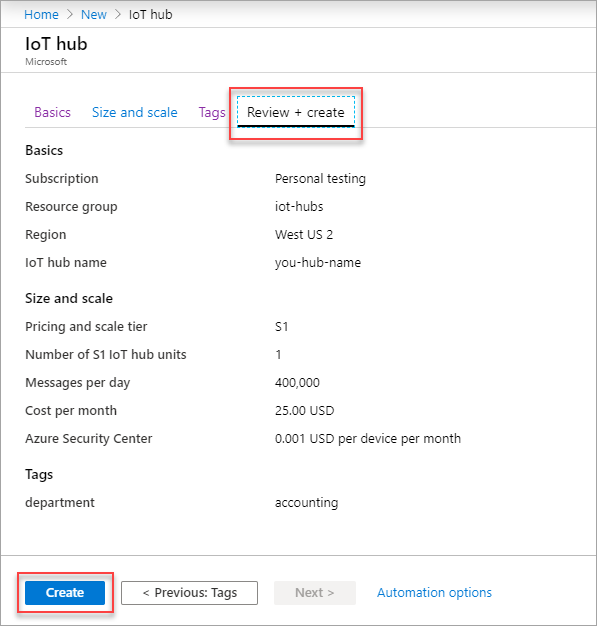 In this section, you will use the Azure Cloud Shell with the IoT extension to monitor the device messages that are sent by the Android device. 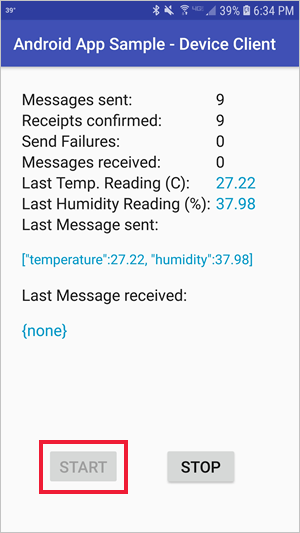 By default the telemetry app is sending telemetry from the Android device every 5 seconds. 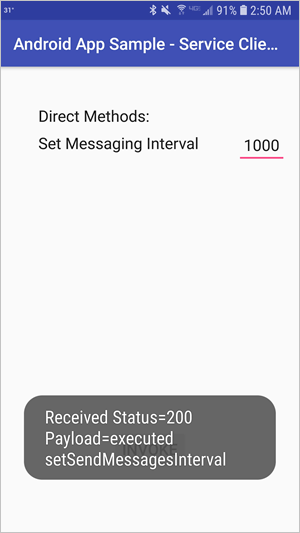 In the next section, you will use a direct method call to update the telemetry interval for the Android IoT device. The service application connects to a service-side endpoint on your IoT Hub. The application makes direct method calls to a device through your IoT hub and listens for acknowledgements. Run this app on a separate physical Android device or Android emulator. An IoT Hub back-end service application typically runs in the cloud where it is easier to mitigate the risks associated with the sensitive connection string that controls all devices on an IoT Hub. In this example, we are running it as an Android app for demonstration purposes only. The other language versions of this quickstart provide other examples that align more closely with a back-end service application. Open the GitHub service sample Android project in Android Studio. The project is located in the following directory of your cloned or downloaded copy of azure-iot-sample-java repository. In Android Studio, open gradle.properties for the sample project and update the value for ConnectionString and DeviceId properties with your service connection string you noted earlier and the Android device ID you registered. Once the build has completed, click Run > Run 'app'. Configure the app to run on a separate physical Android device or an Android emulator. For more information on running an Android app on a physical device or emulator, see Run your app. 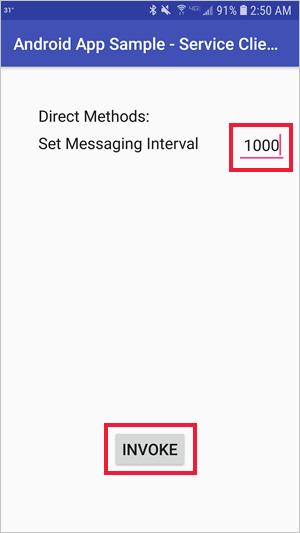 Once the app loads, update the Set Messaging Interval value to 1000 and click Invoke. Th telemetry messaging interval is in milliseconds. The default telemetry interval of the device sample is set for 5 seconds. This change will update the Android IoT device so that telemetry is sent every second. The app will receive an acknowledgement indicating whether the method executed successfully or not.